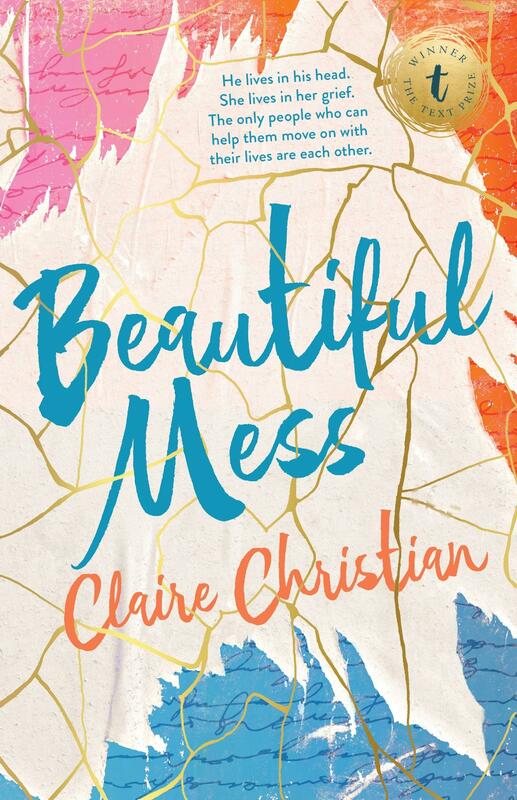 Claire Christian’s Beautiful Mess won the 2016 Text Prize for Young Adult and Children’s Writing, an unpublished manuscript award that regularly discovers new talent. This is an engrossing read that brings together Ava and Gideon, two emotionally flawed and troubled characters not unlike Libby and Jack in Jennifer Niven’s Holding Up the Universe or Eleanor and Park of Rainbow Rowell’s book of the same title. It’s been six months since Ava’s best friend Kelly took her own life and Ava feels hopelessly trapped by unrelenting and all-consuming grief. Normal life, for Ava, feels superfluous and unimportant and she acts out in self-destructive ways, such as ranting at the school principal at a public assembly and finding herself expelled, banished to the local community school. Her casual work at Magic Kebab takeaway brings her welcome distraction and she feels emboldened by her manager’s way of handling obnoxious customers: over-seasoning their meals with excessive amounts of chilli. It’s here, too, where Ava meets shy and introverted Gideon: a sensitive type with complexes of his own (not withstanding his aversion to social media and refusal to own a mobile phone). Curiously, it is Gideon who introduces Ava to new social experiences – like attending stand-up poetry performances – bringing her into his social group, an eclectic mix of likable misfits. The relationship that develops between Ava and Gideon is full of hope, pain and complexity. Together they make ‘a beautiful mess’, much like repaired porcelain in the Japanese tradition of Kintsukori, where gold is used to seal the cracks. Gold, for Ava and Gideon, is the language of poetry, as it provides a cathartic means of coming to terms with their struggles and vulnerabilities and holds the transformative power of turning a broken mess into a thing of beauty. Natalie Platten is the assistant manager and children’s book buyer at Readings Doncaster.